The event is available Monster Hunter World su The Witcher 3 for PS4 and Xbox One. 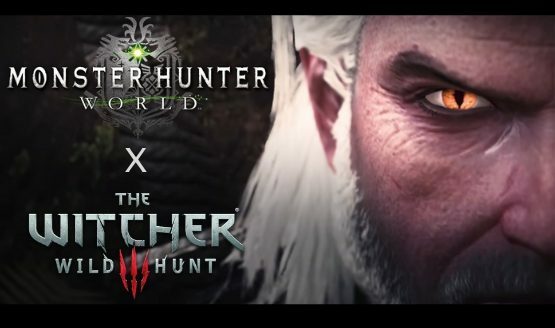 The new crossover mission gives players the opportunity to play the famous witcher Geralt, who finds himself catapulted into the world of hunters to foil the threat of a dangerous Leshen appeared in the Old Forest. The Leshen is a creature belonging to the world of The Witcher who lives mainly in the woods, able to control the land and influence the animals. Within a week a further mission, of greater difficulty, will be available, which will continue the events of the playable one from today. PC players will unfortunately have to wait for some time before they can access these new contents. Completing the first mission will allow players to craft a new armor that will give the appearance of Geralt to your character e a new weapon, the silver sword used by every witcher to fight monsters. Even the stake, the faithful hunter's companion, will receive a new weapon and armor that will give him the appearance of a Nekker, another little monster of The Witcher. The second mission instead will make available an armor that gives the appearance of Characteristic, another famous witcher of the saga and new double blades.